SHARES of Fima Corporation rose as much as 6.4%, before closing 6.0% higher at RM2.64, as volume surged over 14-folds to 560,600 shares. Fima produces and trades government security documents such as travel documents and licenses. The company diversified into oil palm plantation in 2007. At end-2014, it has total landbank of 21,009 hectares, mostly in Kalimantan, Indonesia. Fima also has a 20% stake in Giesecke & Devrient Malaysia Sdn Bhd, the operator of the country’s only banknote printing plant, in Shah Alam. 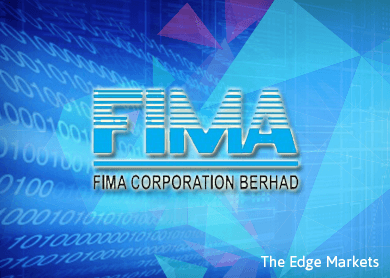 Fima has a debt-free balance sheet with cash of RM195.4 million, or 32.3% of its market capitalisation. ROE ranged between 12.9-22.8% from FY2011-FY2014. For 9MFYMarch2015, net profit fell 16.4% to RM47.8 million despite sales rising 13.6% to RM282.3 million, mainly due to the security documents segment. The stock trades at a trailing 12-month P/E of 10.4 times and 1.2 times book. 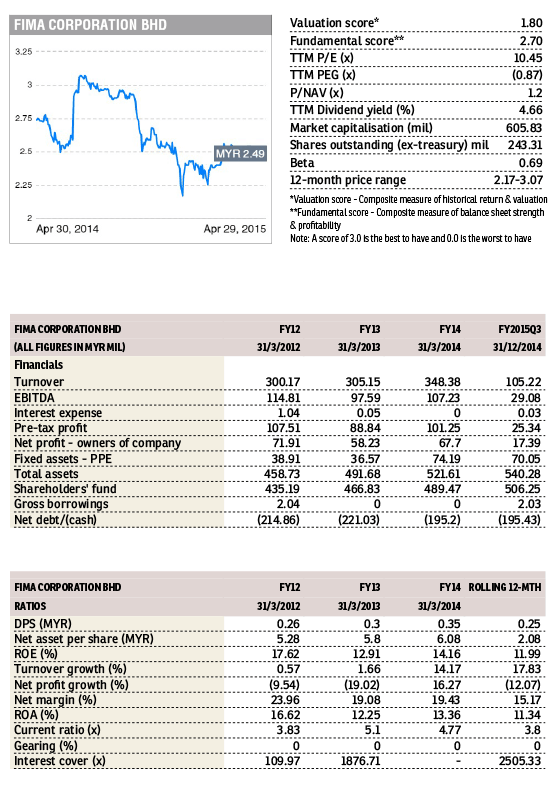 Dividends totalled 11.6 sen in FY2014, giving a net yield of 4.4%. This article first appeared in The Edge Financial Daily, on May 5, 2015.